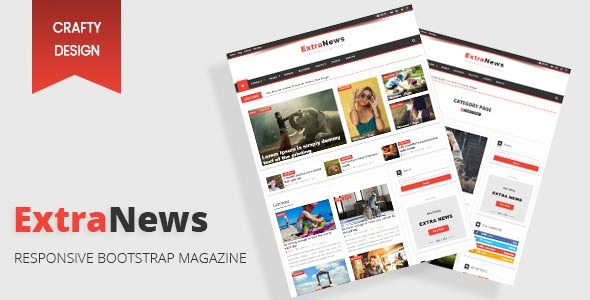 ExtraNews is a responsive bootstrap template which compatible with all devices and friendly mobile. It can be used as a news template, magazine, video and blog. The accuracy of the design, high quality fonts and color consistency made it a crafty , unique design and capable to be the best choice. Note: All images are used for preview only , and aren't included in the final purchase files.